Brains and Blackguards! Posthumously Humorous! funny…but not for the faint of heart. Imagine your 12 year old brother got a hold of the classic Austen novel of social class, true love, and English countryside shenanigans and add SUPER ULTRAVIOLET BRAIN-EATING ZOMBIES. This is no ordinary tripe. Like all great paradies and satire, it’s only truly funny if you are in on the joke. 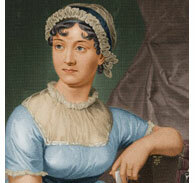 As middle school students, it’s highly unlikely that most of you have tackled Jane Austen, a brilliant and insightful writer. But this is what you have to look forward to: the more you read, the more you understand, the more jokes you’ll get. If that’s not a great purpose for reading, then my zombie friends, you are truly walking around with your brains spilling out. Previous WHHOOOOO are you talking to? WHOOOOMMMM are you talking to?